Sen. Robert F. Kennedy standing in front of a poster of his late brother, President John F. Kennedy, 1966. The photo appeared on the cover of Life magazine. Robert Kennedy made his political debut in 1952, managing John Kennedy's Senate campaign. In 1960, he again assumed the position of campaign manager, for his brother's bid for the White House. Kennedy served as attorney general in his brother's Cabinet, resigning soon after President Kennedy's 1963 assassination to run for the United States Senate from New York. He had just won the California Democratic primary, giving him a strong chance to win the party's presidential nomination, rising out of the shadow of his brother John F. Kennedy, the president murdered less than five years before. And in a split second, its was all over: a deranged Palestinian shot him dead in a Los Angeles hotel as he reveled in his victory. It came in the wake of the devastating Tet offensive against US and South Vietnamese troops in Vietnam, which showed the US was not winning the war and forced then-president Lyndon Johnson, also a Democrat, to concede that he was too weak to seek the White House in that November's election. And it followed by two months the April 4 assassination of civil rights leader Martin Luther King in Memphis, Tennessee, which sparked riots across the country. Johnson's decision to bow out from the race opened the door to Kennedy to jump in the battle against liberal anti-war hero, senator Eugene McCarthy, and Johnson's more conservative vice president Hubert Humphrey that March. But Kennedy, who also took a stance against the increasingly unpopular war, had the advantage of youth -- he was just 42, his powerful name, his experience as attorney general under his brother, and then nearly four years as senator from New York. 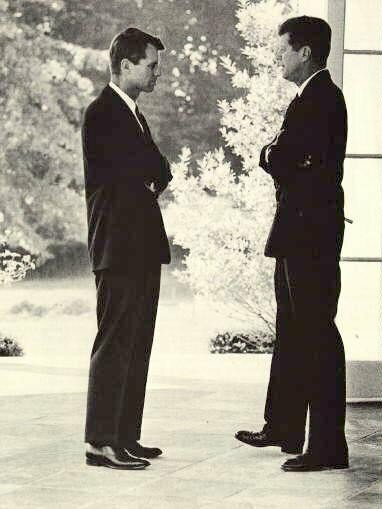 The primary in California, the country's most populous state, was key, and Kennedy came out of it with a big advance, putting him ahead of McCarthy and with the possibility of catching up with Humphrey. But what for many was the second Kennedy "dream" was again cut short. As he entered the kitchen of the Ambassador Hotel to thank supporters, Sirhan Sirhan pulled out a pistol and at close range shot Bobby several times, including once in the head. Boris Yaro, then working for the Los Angeles Times, recalled in 1998 that he went not on assignment but as a fan to take pictures. "To me, Bobby represented what was left of the Camelot era of American politics, and I wanted him to win. "I wanted a picture of him for my wall -- something that said a new era was aborning." But as his victory became apparent, suddenly "there were a couple of explosions that seemed to light up the entire room," Yaro recalled. In the struggle to subdue Sirhan, Yaro himself grabbed at the gun before someone else took it away. He took his pictures and went back to the newspaper. 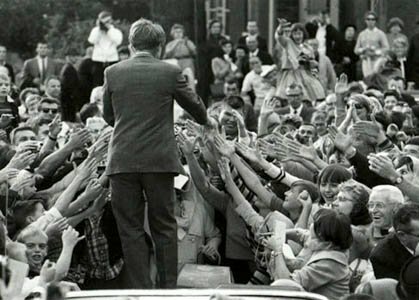 Forty years later, the desire for another "Camelot" has filled supporters of Illinois Senator Barack Obama, likened to the Kennedy brothers by some from the Massachusetts clan themselves. In January both John F. Kennedy's brother Senator Edward Kennedy and the slain president's daughter Caroline suggested Obama was his spiritual heir. But also, in what came to be seen as an ugly comparison, Obama's now-vanquished rival Hillary Clinton in May made reference to their close-quarters battle and the fact that the 1968 race changed radically when Bobby Kennedy was assassinated. The reference provoked outrage that Clinton was suggesting something nefarious, and she quickly apologized. An astonishing discovery is made when a sound recording of Robert F. Kennedy's assassination, lost to the world for 39 years, is found and examined. Audio analysts say the dramatic recording changes history. Learn the startling results of their investigation. Hear the actual sounds of the Bobby Kennedy shooting as DISCOVERY TIMES CHANNEL broadcasts this important, previously-unknown recording for the first time. 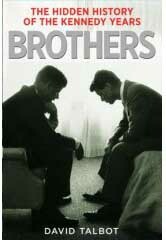 "Brothers then shifts back in time, revealing the shadowy conflicts that tore apart the Kennedy administration, pitting the young president and his even younger brother against their own national security apparatus. The tensions within the Kennedy administration were heading for an explosive climax, when a burst of gunfire in a sunny Dallas plaza terminated John F. Kennedy's presidency." Larry Hancock's book SOMEONE WOULD HAVE TALKED demonstrates how this nest - frustrated with the highly secret Kennedy outreach to Castro - instigated and orchestrated JFK's murder in Dallas. RFK intuitively had the right answer, its just taken 40 plus years to find and document what he knew in his gut on that Friday afternoon. Robert Kennedy was committed to the rights of African Americans to vote, and attend school and in 1962 sent US Marshals to Oxford, Mississippi to enforce a Federal Court Order admitting the first black student, James Meredith, to enter the University of Mississippi. Robert Kennedy had a major role in the Missile Crisis. He acted as a meeting facilitator and as an unquestioned confidante to President Kennedy. Because the President could not be present at all the EX-COMM meetings, he assigned Robert Kennedy the task of facilitating the discussions. As such, Bobby Kennedy proved an excellent leader by guiding the discussions and asking complex questions. 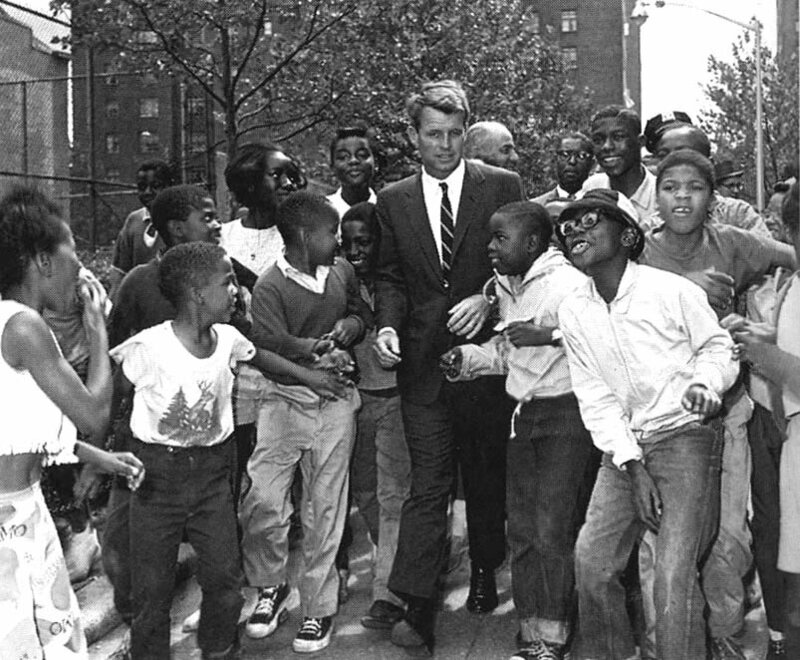 Robert Kennedy quickly exhibited his ability to analyze the situation and recognize how decisions would impact the future of the world.